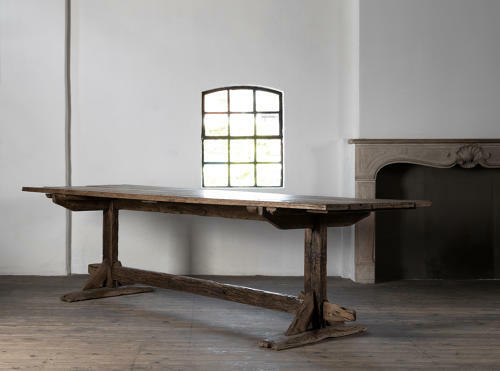 A very impressive heavy oak trestle table with great patina and signs of age- might even be 17th century. A great piece that easily sits twelve. Great condition, ready to use.